Knowlege is Power! 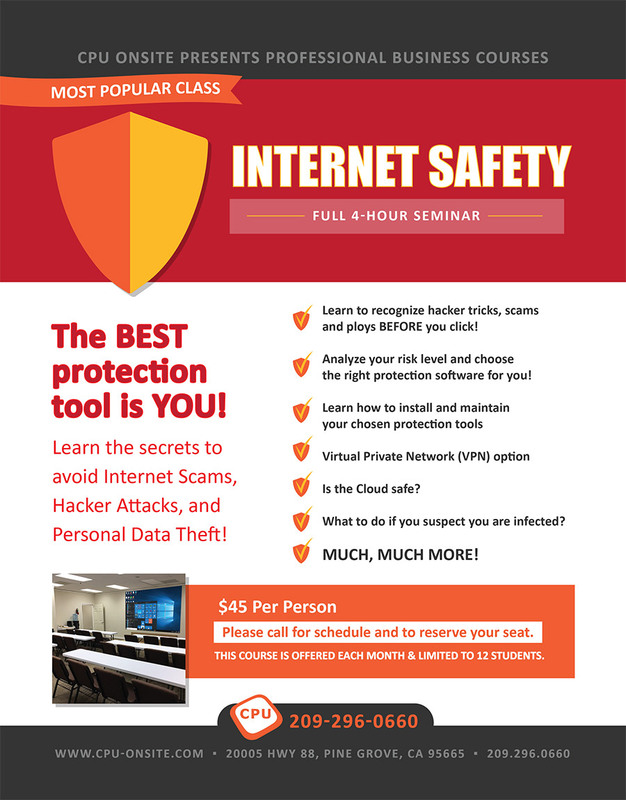 This 4-hour course reveals the tricks scammers use to infect your computer, your identity and rob you blind. Next, we show you the software tools to block them and remove them should you still find yourself infected. Most importantly, you will look inside the mind of a hacker to learn how to spot them and avoid them, before they get you! I can’t say it enough – Knowlege is Power!